Well, this is my story. Happy Halloween! Screams of agony rattled through our small cabin. "Grandfather, what's the matter?" I yelled, standing in the hallway. Grandfather stood leaning against mother's door; his weathered brow furrowed, dripping with sweat. He took me by the hand and led me to the kitchen. "Sit here Anna," he said, carefully setting me up on a stool. "Your mother is very ill, and in a great deal of pain." "Is she going to die?" He paused, and as he did, hot tears welled in my eyes, and spilled down my cheeks. My mother was a very strong woman. After my father died, a few years back in an accident, she took over and worked extra hard on the farm. She was all I had, except for Grandfather, who moved in, shortly after, to help us. My voice caught in my throat. I couldn’t speak. Cursed? Who would do such a thing? Grandfather shuffled through the kitchen, gathering a half-a-loaf of bread, some cheese, and two small corks, placing them into his small brown satchel. "I must, Anna. There is only one thing that can cure your mother, and it is not something a doctor can prescribe. I will be gone a few days, so you will need to care for your mother." "But, I don't know how. Where are you going?" I pleaded for an answer. "I'm going to Hushabye Mountain. There is a single tree that grows at the top, which bears a magical fruit. The seed of that fruit holds the only cure for your mother." "But Grandfather," I cried. "Isn't that the old witch's tree? You can't go there! She'll kill you!" "Don't worry, Anna. I’ll be back. That old witch can’t hurt me. Besides, it’s just an old fool’s tale," he said grabbing my arms, gazing deeply into my eyes. "I’ll leave as soon as your mother is sleeping and should be back before the sun rises on the second day. Give her two drops of this, directly into her mouth, whenever she wakes. It will help ease some of her pain." He held out a small vial filled with a whitish liquid and placed it in my hand. I'd heard stories, terrible stories, of the old witch who was banished to Hushabye Mountain. The mountain was named Hushabye, because she'd lull innocent children to sleep with her cursed lullaby. When they’d fall asleep, she'd tie them up, and take them into her cave, where she’d fatten them up, and eat them. These days no one dared travel to the top of Hushabye Mountain; no one except those in search of the magical fruit. The last person, a farmer boy, who attempted to get the fruit for his sick father, never returned. I couldn't let that happen to Grandfather. He wasn't as strong or as fast as he once was. Screams from mother's room caused grandfather to run to her side. I crept to her door, which was partially opened, and peeked in. Mother was curled up in a fetal position; her body was covered in sweat, hands clenched in tight fists, and her face was bright red. She moaned and turned to me. I froze. It didn’t even look like her. I suddenly felt sick to my stomach. I hated to see her in such pain. I instantly made up my mind. I was going to Hushabye Mountain to get the magic fruit for mother. I was more agile, a lot faster than Grandfather, and knew I could make it in half the time. Even at twelve, I was the fastest amongst most of the kids in town, and was sure I could outrun an old witch. As Grandfather tended to mother, I grabbed his satchel, wrapped my mother's shawl around my shoulders, and snuck out the door. As soon as my feet touched the grass I dashed towards the mountain. My heart was racing faster than my feet. It was summer in the valley and the winds were warm. I looked up and couldn't remember Hushaby Mountain ever looking more beautiful or peaceful. What would be in store for me when I reached the top? The mere thought sent a chill down my spine. I traveled more than halfway up the mountain before sunset, and found a small hollow in the side of the mountain. It was perfect to stay in for the night. I gathered small branches and twigs from the area, and piled them up to make a fire. Grandfather always kept a flint stone in his satchel. I wondered if he was mad at me for leaving. He'd probably never catch up to me, even if he traveled all night. Besides, there was no one else to care for mother. Mother's shawl and the small fire kept me warm throughout the night, and the bread and cheese made me full. I dumped the remaining items from the satchel onto ground and sifted through them. Most of it was junk he'd collected through the years. The two small corks, I saw him put into the satchel this morning, so I tucked them into my pocket. As soon as daylight broke I traveled quickly towards the top of the mountain. The sooner I picked the magic fruit, the sooner I could get it back to mother. As I neared the top, I could see large, towering tree. Its branches were shaped like an umbrella, with large, bright-green leaves. The fruit hanging resembled ripe, juicy apples, but shimmered gold in the sun. As I took the last few steps to the top, my stomach began to twist in knots. My knees became weak and shaky. I stood at the top of Hushabye Mountain, and all the rumors of the old witch began to flood my mind. I quickly glanced around me, but the area was empty. Run. Grab the fruit. Run away. I chanted to myself over and over. I studied the branches to see which fruit would be the easiest to pick. The lowest fruit hung on the opposite side of the tree. There were a few that were closer, but it would take some effort on my part to retrieve them. I decided to run to the lowest hanging fruit, pick it, and get off the mountain as quickly as possible. After one last glance, I bolted toward the fruit. 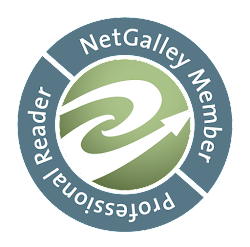 I reached up, and grasped it in my hand. Just as I was about to pick it I heard whimpers and loud sobs. I turned and was startled to see a little boy sitting at the foot of the tree. He looked to be about five, and was dirty, and crying. Muddied hands covered his face. I quickly picked the fruit and placed it in the satchel. I stood, bewildered. I could have sworn there was no one else up here but me. Suddenly, the boy stopped crying. And instead began to hum an eerie tune. My limbs became numb, and my eyes became heavy. I suddenly felt very, very sleepy. A deep-voice shouted in the distance. It sounded like Grandfather, but his voice was muffled. "ANNA! Don't listen! Put the corks in your ears!" My limbs were weighted as I tried to reach into my pocket to pull out the corks, but my fingers couldn’t grasp them and they fell to the ground. I looked at the boy as he slowly uncovered his face. I gasped, horrified, stumbling backwards. An old, wrinkled hag stared up at me with blackened, evil eyes. She cackled wickedly through rotted teeth and began singing her cursed lullaby even louder. "So close your eyes on Hushabye Mountain. Wave good-bye to cares of the day..."
I tried to run, but she grabbed my leg and yanked me to the ground. Her nails dug into my skin - stinging, burning. She crawled over me, humming her tune of death. Drool from her rotted teeth dripped onto my face, but I couldn’t move. Darkness quickly encroached upon my eyes, but before they shut, Grandfather came charging towards me. "Grandfather!" I screamed, but was paralyzed. Everything went black, but I could hear muffled screams. Screams of pain. Screams of death. I dreamt that I was floating down the mountain on a white fluffy cloud that settled on my bed. A gentle voice on the wind called my name. "Anna. Anna. Anna." I struggled to open my eyes, and when I did, I saw an angel. She was staring at me with bright, blue eyes and a wide smile. "Mother!" I yelled, reaching out to her. She grabbed me and pulled me to her, hugging me tightly. "You’re okay." "Yes, thanks to you and your grandfather," she said, pinching my nose and shooting me a look of you-shouldn’t-have. “I’m sorry. But I had to,” I muttered. She hugged me again and laughed. "And we can't forget our neighbor, Mary, who stopping by just in time. She stayed with me while your grandfather went chasing after you." Grandfather was kneeling at my bedside, grinning and shaking his head. "B-but...Grandfather... what happened to the witch?" I stuttered. "Oh, let's just say she's no longer on Hushabye Mountain, and has sailed far away from Lullaby Bay," he said with a wink. 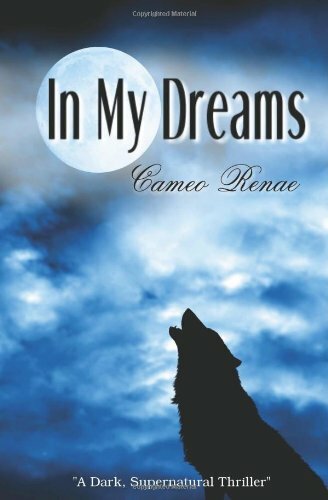 Cameo Renae is the author of In My Dreams. My review of In My Dreams. She has recently completed work on a new novel. Details to come! Hey Cristina!♥ Thanks for letting me share my story with you. You're totally awesome! :) Oh BTW... In My Dreams has a brand new cover! Hope you like it!